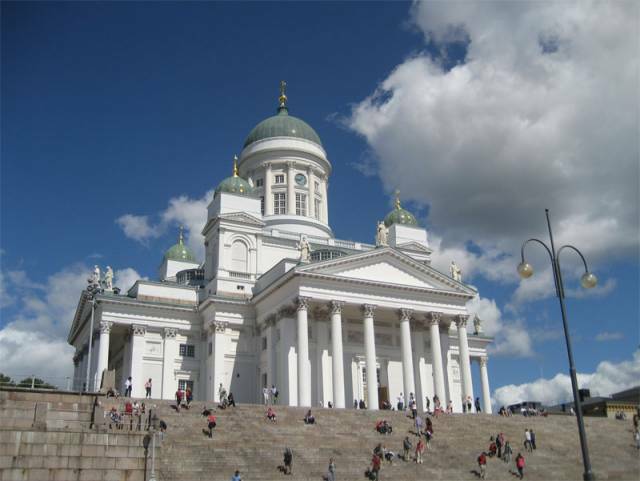 Helsinki Cathedral is the main attraction of the capital of Finland. The cathedral is situated on the Senate Square, next to the university. All tourists must visit this place. Helsinki residents also like to spend there free time here. It is a distinctive landmark in the Helsinki cityscape, with its tall, green dome surrounded by four smaller domes, the building is in the neoclassical style.